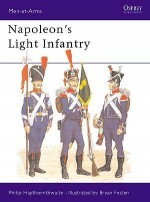 An elite battalion under Louis XVI, the 9th Light Infantry regiment were with Napoleon from almost the beginning, turning the field at Marengo and breaking the Austrians. They then spent over a decade fighting their way across the continent, following Napoleon to the bitter end. Bringing their Eagle out of hiding when Napoleon returned from exile in 1815 they almost saved the day again, at Waterloo, spearheading a charge to rejoin Napoleon. 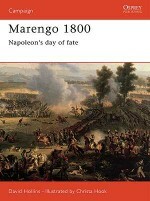 But unlike at Marengo, they failed. 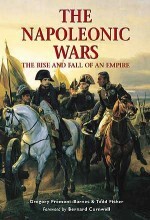 Napoleon dubbed them 'Incomparable', and their story is extraordinary even by the standards of the dramatic and turbulent years in which they lived. 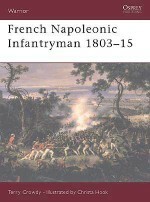 Terry Crowdy is the author of a number of books on the French military during the Revolutionary and Napoleonic Wars. After participating in the bicentennial celebrations of Napoleon's early battles, Terry Crowdy began extensive research into the daily lives of soldiers of the periods, on land and at sea. In addition he has a keen interest in espionage subjects and has written on a number of 'Secret War' topics including The Enemy Within (2006), and Deceiving Hitler (2008). He lives in Kent and is a safety adviser for Historic Royal Palaces, the charity which manages the Tower of London, Hampton Court Palace, Kensington and several other former royal residences.